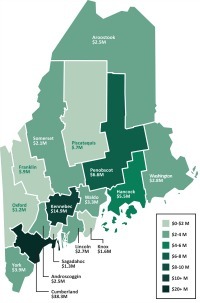 Download the 2016 Foundation report below, or go to www.mainephilanthropy.org/MEgivingreport to see more information and get links to past Maine Giving Reports. The 2016 Giving Report is designed to be printed double-sided on 11 x 17" paper. We have also provided a version that can be printed on US Letter-Sized paper.